Central District Police had its two booze buses kitted out this week with a new biometric system which will greatly improve the tools officers use to remove drunk drivers off our roads. This new system enables police officers to confirm alleged offenders’ identities by digitally taking fingerprints and photographs of people they intend to charge with an offence. It compares the biometric data to existing Police records and stores the new information for future reference. The technology will only be used on drivers who blow over the drink-drive limit in a roadside breath test or commit an alleged offence for which they can be summonsed. Particulars will only be taken of people Police intend to charge with an offence. In June 2014 the system was successfully trialled in the Wellington booze bus, and by the end of November all 21 of Police’s booze buses will have the technology. Central District Road Policing Manager, Inspector Dave White says the biometric system is an invaluable tool towards making our roads safer. "This new technology has improved the way we use existing legislation and it will help Police protect communities by getting the most high-risk drivers off the roads faster." "Identifying high-risk drivers and recidivist drink-drivers at the roadside means alleged offenders can be charged appropriately from the outset and less time is spent making follow-up investigations to confirm a driver's identify if false details are provided." Alcohol is a factor in around 30 percent of New Zealand’s fatal road crashes. Over the last 10 years, crashes caused by alcohol and drug impaired drivers nationally have resulted in the deaths of around 1,163 people, and left another 5,332 seriously injured. The total social cost of this trauma is estimated at $8.2 billion. From 1 December 2014, the Land Transport Amendment Bill (No.2) 2014 lowers the adult breath alcohol limit from 400mcg of alcohol per litre of breath, to 250mcg. The blood alcohol limit is reduced from 80mg of alcohol per 100ml of blood (0.08), to 50mg (0.05). "Police welcome the lower drink drive limits and along with the new booze bus technology its another step forward in making our roads safer, saving lives, and preventing serious injury, " says Inspector White. 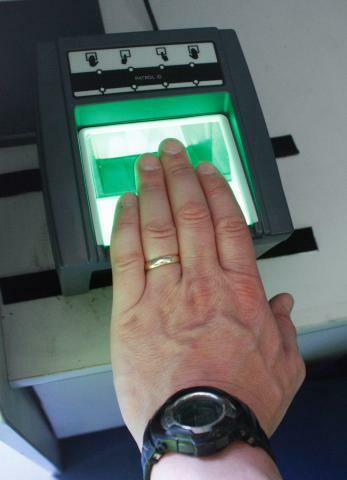 A photo of the fingerprint scanner can be provided upon request. Media enquiries should be referred to Communications Manager Sara Stavropoulos on 027 702 0850.